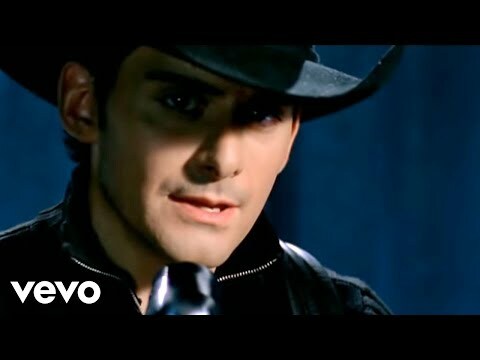 Brad Paisley - "Whisky Lullaby"
Hello all, Tom here. I know many of you do not enjoy country music. This thread is not geared to you. You may, however, want to check this one out. VERY powerful song that also features Allison Krauss. I ordered the CD the very moment after I watched the video. Even though I thought I would get Amazon's 2 day shipping on Prime, for some reason, it took around two weeks to get here. Well, it showed up and I played it tonight. Thanks Russ! Good choice my man. Not bad for a sheep chasin', gun toten', dip spittin', Justin Bieber listenin', big truck drivin' redneck! Well, now. Don't I feel like the donkey. DOH! I have that album. Perhaps that's why I thought I had heard it before. I guess it was "just another song" until I saw the video and actually listened to what the words meant. Nothing new there though. I have heard many, many songs throughout the years that I sing from start to finish but....never really paid attention to the words and the meaning of the song. Then one day, I'll pay attention and fall in love with the song all over again like it was new. I guess I pay much more attention to the music then I do words. That explains why I prefer the older bands where they shut up and actually played this thing called "music" instead of singing through the entire song with the same three beats and a chorus they repeat 15 times. BTW, Rooftop...I agree. That is a good album. ... and I like Brad Paisley. He seems to be witty and not to take himself too seriously, and he also seems to be a pretty good gee-tar player. Yes, a good guitar player and a solid musician, though I have never listened to an entire album of his. Hey daddyjt! That very song is the one and only reason I bought that album to begin with. I bought it when I used to dislike Allison's voice but that song was so powerful with its words...I listened to it so much, that I actually like Allison A LOT now. Go figure. Got introduced to that song by a good buddy of mine (and other's here), Jerry. He used to live in Hotlanta near GeorgeD but has since moved into the mountains of Georgia. You may have met him at CF. I even featured that song on my rig at CF 2 years ago in Cabin 11. Got a standing ovation on that one! Well, heck. Queen's "Bohemian Rhapsody" is commonly a "Rock" song for the ages....but when you listen to the words and pay attention? It's depressing as all get up! 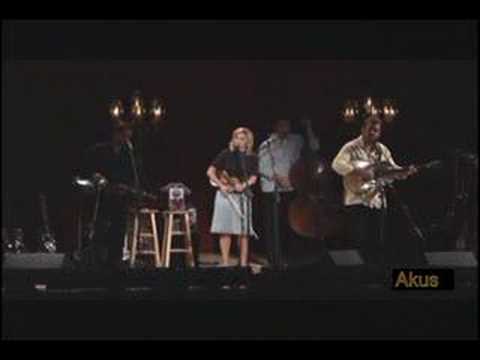 FWIW (and it's not all that far off-topic) probably my favorite Alison Krauss track. Excellent recording, too -- although it will expose flaws in midrange reproduction (I'm lookin' at you, Klipsch Cornwall!) ruthlessly. Years ago I dropped a tear or two the first time I heard Jacob's Dream sung by Allison Kraus. It was on my main system too. I might've been medicated a little, I don't remember it's been so long ago. I quickly lost track of who sang it. I thought it was Gillian Welsh. I've searched over the years that elusive song and who sung it. I've told a few people about it too. How moving it is. THANKS A LOT FOR PUTTING ON HERE !!!!!!! I can now search for my Allison Kraus CDs section. I can listen again to my SRS2s with new tweeters like I heard that song with before a couple of times. Then on to the Triton Ones system with it for comparison knowledge. Now if somebody with knowledge of a 30 year old rock/ Christian(?) song where an army comes over a hill to annihilate the other army in a rockin crescendo of guitar and drums..The singer ( male ) was awesome. Maybe heavy metal. If I find out, I'll be able to leave earth with one less mystery I never solved. I heard it on the radio in a vehicle and the station just kept on playing other songs. I wanted to call the station from a house but never did. Not sure if you knew, but Jacob’s Dream is based on true events. No, I did not know that. Thanks so much for bringing that to my attention. You are welcome, TonyM. I don't think it was the medication. I still get choked up (I'll admit it) whenever I listen to it on the rig. Makes me think of my young son and....well, you get the gist. Started giggling right off the bat on this! Then when you threw in "Russ...", tears of laughter were streaming. Poor Russ. Sounds like a great guy to hang out with. Been to several Brad and Alison concerts. Both are amazing musical artists. Excellent singer/songwriter. Like Tom, I mostly listen to the music and no so much the words, but with Jason Isbell, his lyrics are almost impossible to ignore. 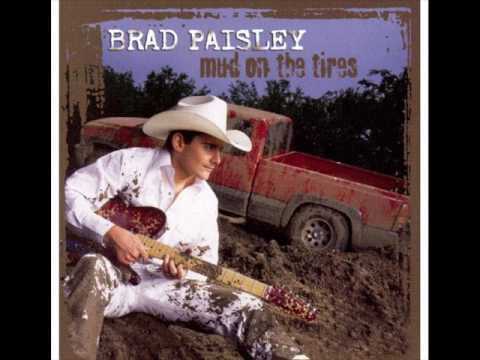 Country is like every other Genre, gotta sift through the crap to find the diamonds. Although I do like when Country artists were Ugly people singing beautiful songs. Looking at you Waylon and Hank Williams. I mean CAN you sleep on Dolly, Linda and Emmylou? I think not, that is a power house combo there. Plus Linda was dang dreamy back in her day.